The famous stretch of Orchard Road welcomes OverEasy's second outlet at Liat Tower. The second outlet is different from its Fullerton branch offering an American family and communal dining experience. This is also the exact same spot where Singapore's first McDonald is housed, paying homage to American dining culture at the iconic spot. The dining experience at Overeasy begun with some starters. 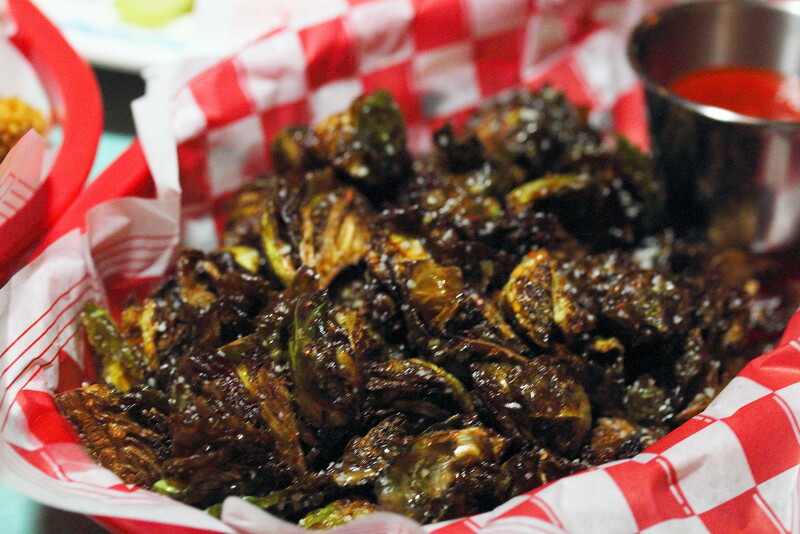 We started with the Crispy Brussels Sprouts ($12). The appearance was a bit unappetising but the saving grace has to be the deep fried crispiness and the sriracha dipping sauce. Not my preferred way of enjoying the brussels sprouts. I still like it to be crunchy. 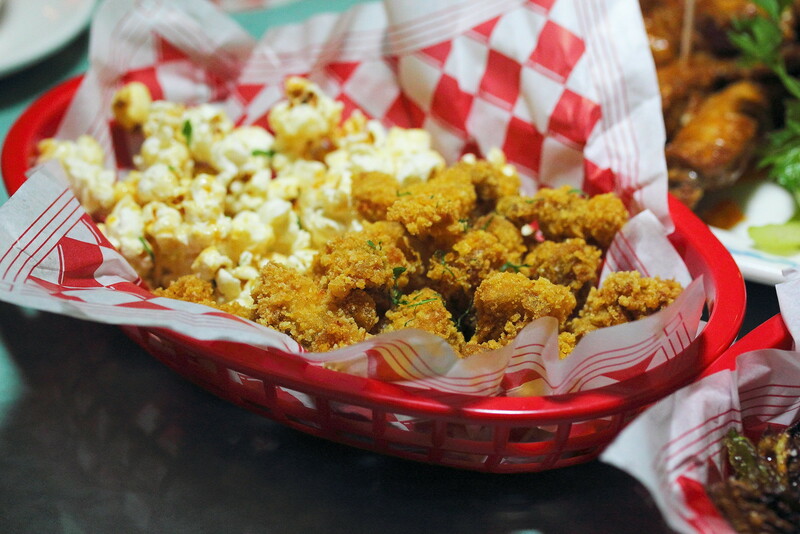 Don't say I don't warn you that the Popcorn Chicken with Salted Caramel Popcorn ($16) is very addictive. 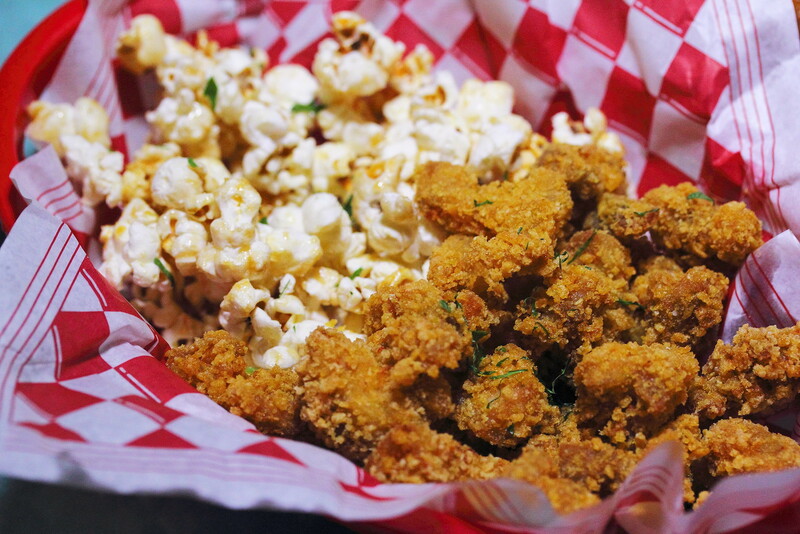 The chicken are coated in a thin layer of cornflake batter that is light and crispy. Pairing it with the sweet salted caramel popcorn, the awkward combination strangely works perfectly. How I wish I have a full bowl of these for my movie night every time. If you are in for a fiery delicious challenge, the Spicy Buffalo Wings ($16) will give you a fiery kick start to the meal. It comes in 4 spicy levels, with level 4 the hottest. 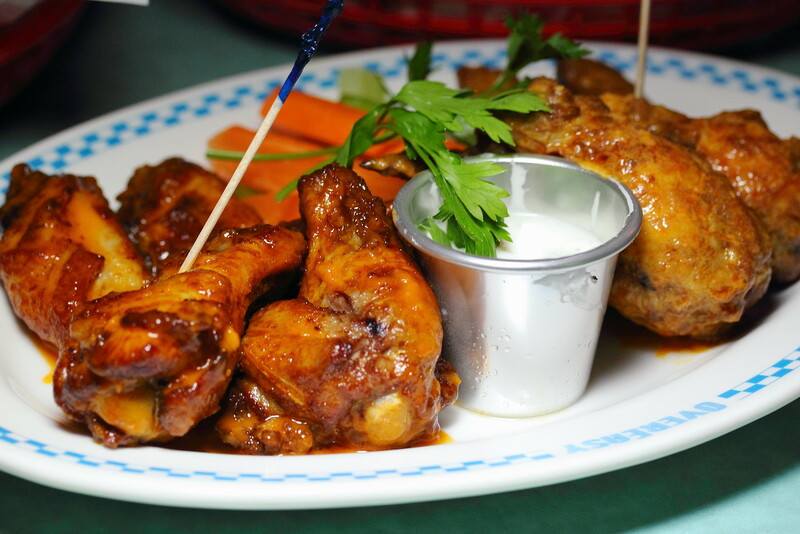 For the daredevils, the restaurant also has a spicy wing roulette, adding some fun into the meal. What is American food without the burger right? 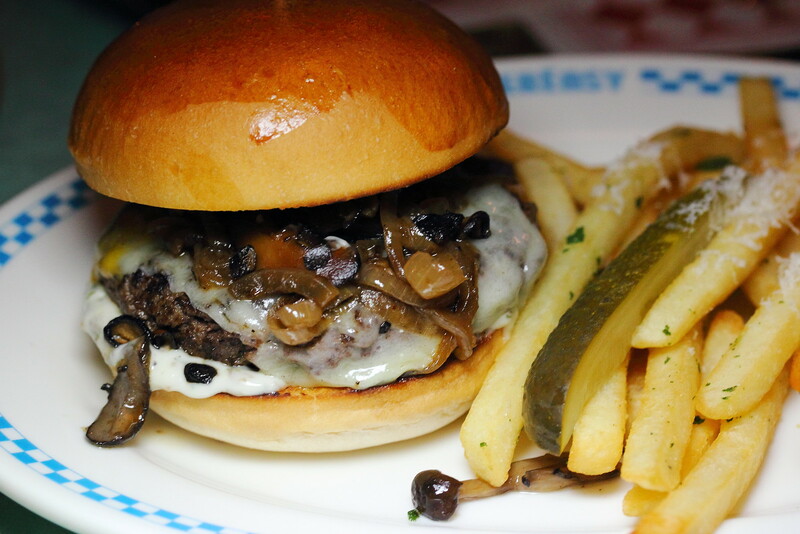 A must try at Overeasy is the Truffle Burger ($28) which the patty is made of wagyu chuck blend sandwiched on toasted brioche bun, served with fries on the side. Topped with Swiss cheese, truffle mayo, sauteed onions and mushroom, this is one juicy goodness that you don't mind getting your hands messy. 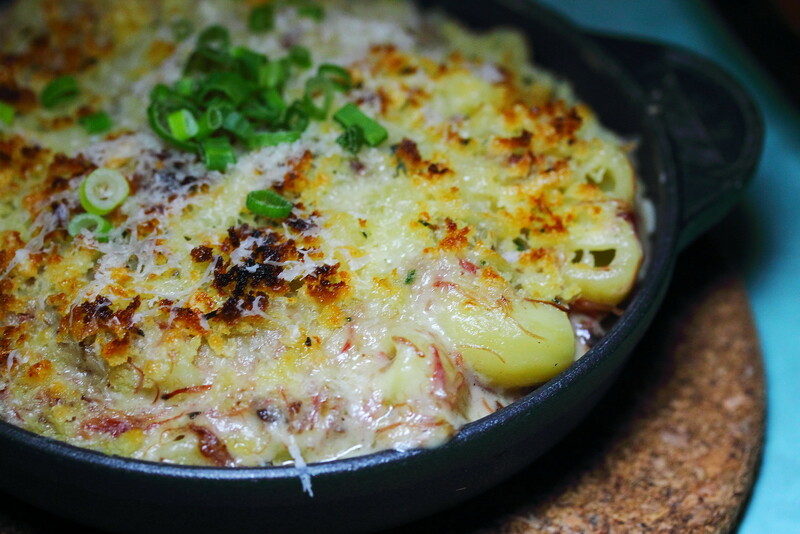 The Mac & Cheeks ($22) is mac & cheese level up with braised beef cheeks, gruyere and parmesan. The combination of cheesy and bites of pulled braised beef cheeks gives the dish an addition lift in both taste and texture enjoyment. 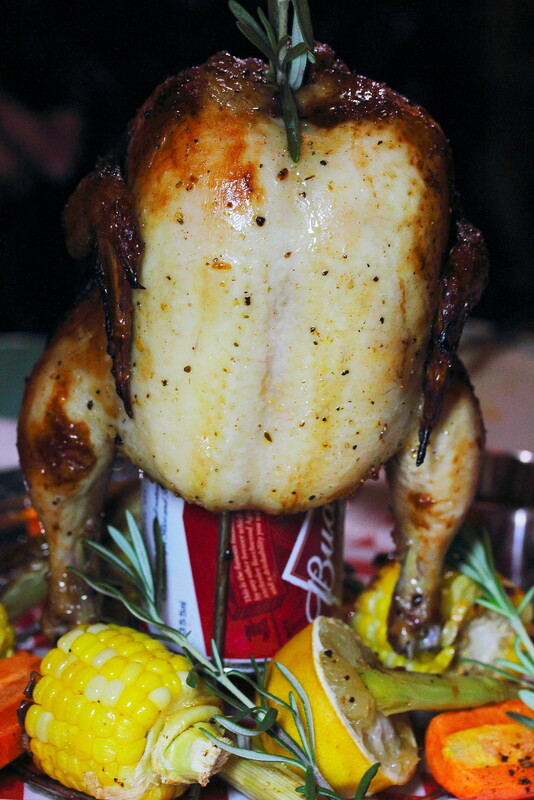 A secret menu item at Overeasy is the Beer Can Chicken ($58). Do check with the kitchen as there are only limited quantity each day and it will take a while to cook it. However it will be worth the wait as the chick is extremely tender, juicy and flavourful. I will definitely go back for this. The dessert menu is a bit disappointing with only 3 selections. 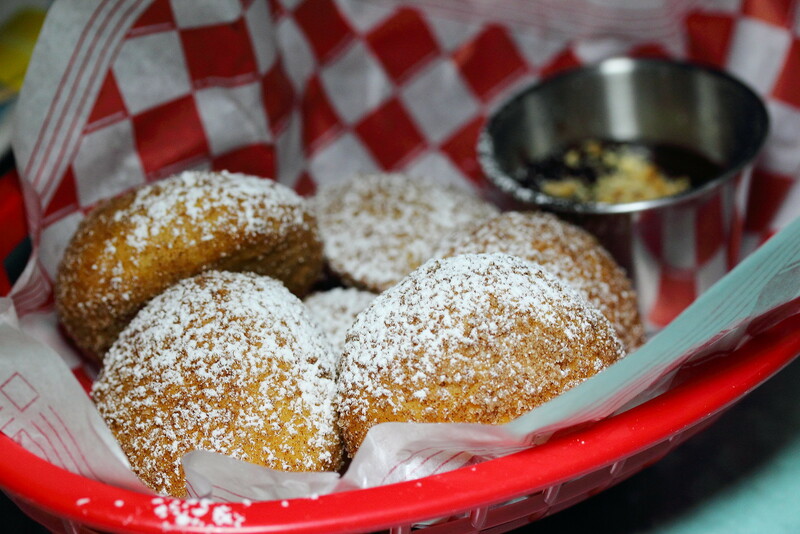 Nevertheless the Bourbon Donut Holes with Homemade Fudge ($12) is a delectable chewy finishing to the dinner. I actually went to Overeasy without much expectation as I am not a big fan of American food. I have to say I left the place feeling satisfied and in fact impressed with some of the dishes. After a long day shopping at Orchard Road, pop into Overeasy with your shopping bags and you may get some freebies from the restaurant. This is some of the ongoing promotions to reward their guests. Do check out the website or facebook for the latest promotions.